Last month, Vanity Trove and L'Oreal Paris collaborated to come up with an exclusive Vichy trove to mark the launch of the brand's latest product, the Aqualia Thermal Dynamic Hydration Serum. Accompanying it in the trove was the Aqualia Thermal Dynamic Hydration Light Cream. I tried both products for close to a month and here are my two cents' worth! To begin, here's a little update on my current skin condition. I have combination skin that's sensitive, so... It's the usual; oily T-zone, dry cheeks and light redness all around. The redness usually intensifies when I use new products. This is especially so during this period, when I'm not sleeping very much and my skin's a lot more sensitive than usual. 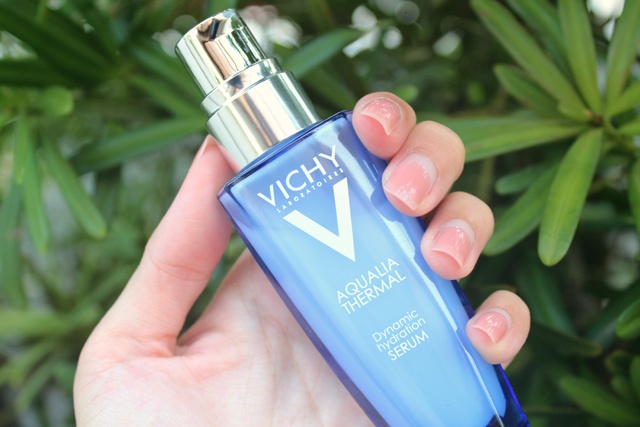 Vichy's Aqualia Thermal Dynamic Hydration Serum is described as the first hydrating power serum that contains 3 energizing sugars and Vichy Thermal Spa Water that can capture and retain moisture. Carrageenans: This unique active ingredient is derived from the marine red algae and aids in repairing our skin's barrier function. At the same time, it softens and smoothens it. Aquabioryl: This patented L'Oreal ingredient ensures a continuous supply of moisture to all our facial zones via dynamic water diffusion. Hyaluronic Acid: This efficient hydrating ingredient re-plumps our skin's surface by enhancing its capacity to retain water. Vichy Thermal Spa Water: This water is 100% pure and naturally rich with 15 different types of rare minerals. 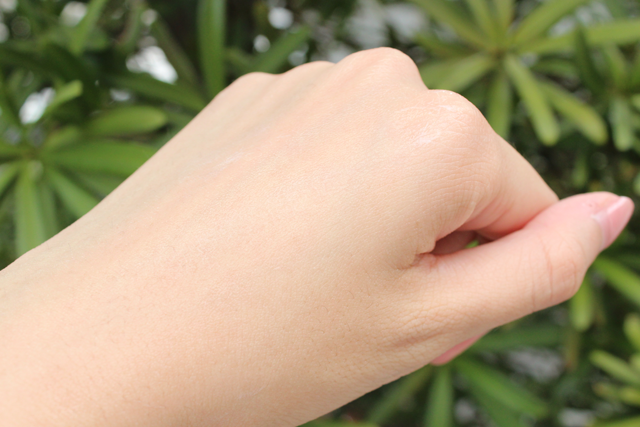 It is clinically proven to regenerate, soothe and protect our skin. The serum ensures a uniform hydration distribution, maintaining a good moisture balance in all our facial zones. 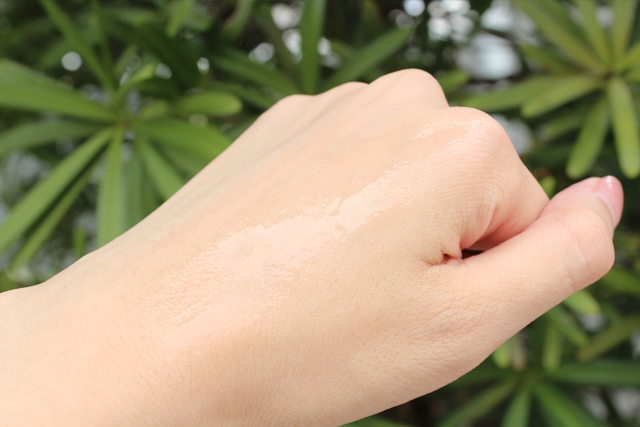 The serum comes out gel-like but spreads out like water. It sinks into my skin easily, leaving no uncomfortable greasy residue. The parched areas on my face are immediately quenched, while the usual oily ones remain adequately hydrated with no oily feeling. As it contains dimethicone (A type of silicone. ), it creates the perfect smooth canvas for makeup; foundation glides across the surface of my skin easily and sits comfortably all day. 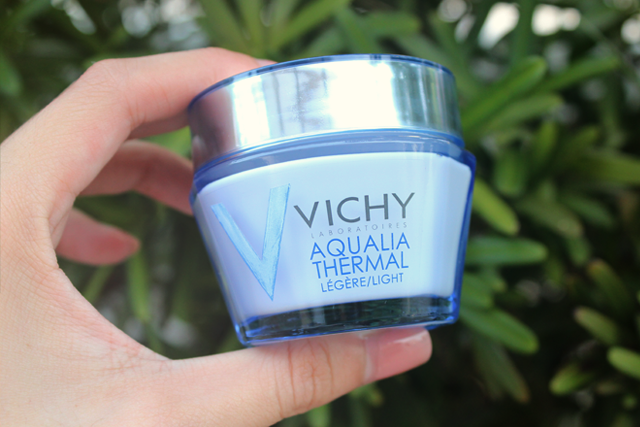 Vichy's Aqualia Thermal Dynamic Hydration Light Cream hydrates skin millimeter by millimeter. Vichy Thermal Spa Water opens up our skin's intercells gateways so that active ingredients can circulate in each facial zone. Hyaluronic Acid and Aquabioryl bring much needed water to our skin, while λ-Carracghennans reconstruct our skin's barrier function so as to maintain a long-lasting hydration. Our skin is left radiant, bouncy and smooth. 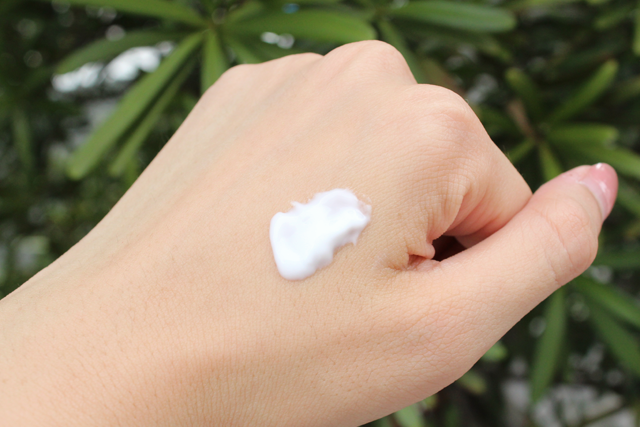 The cream appears thick and rich but just like the serum, it has a watery-like texture when applied. My skin plumps up immediately and my skin looks youthful and healthy in the morning. I apply it only at night though, because I feel that it's a tad too much for the day, especially so in Singapore's sweltering heat. The Aqualia Thermal Dynamic Hydration duo is most suitable for anyone looking for a simple hydration regimen. Even those with oily skin will find the serum quite enjoyable. However, I do think that both products are heavily laden with silicones so, those who are allergic may want to take caution. Vichy's Aqualia Thermal Dynamic Hydration Serum and Aqualia Thermal Dynamic Hydration Light Cream are both available at selected Guardian, Unity, Watsons, hospital pharmacies and Derma Centre. RAMBLINGS: Departures and a grey Saturday.